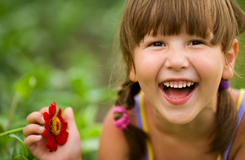 At East Cobb Dentistry for Kids, our goal is to give you the personal attention that you deserve, while also making your time with us as convenient as possible. Before your first visit, please take a few minutes to follow the links below to fill out your patient forms. This will save you time for your first appointment. If you do not wish to complete the forms prior to your visit, that is fine too!